If you're the sort of person that needs cold, hard evidence that your favorite show to binge-watch has not completely abandoned you, and that it's actually returning, then look no further. Here are some on-set photos of Orange Is The New Black as the cast and crew begins to shoot Season 3. HALLELUJAH. These awesome photos surfaced via Give Me Astoria, a neighborhood blog based in the Queens neighborhood where many of the scenes are filmed. As a former Astorian, I have been in pretty much all of the locations where they've filmed, so am I associated by proxy because I used to run in the park where Red had that kerfuffle with the walking group in Season 1? Hope so. So — what is the cast and crew currently filming? 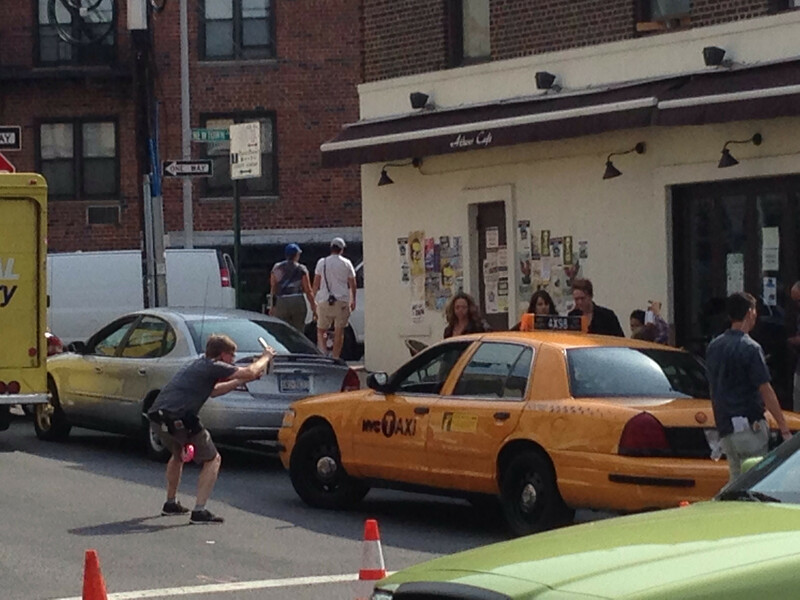 Without giving any spoilers for Season 3 away, Give Me Astoria reported that it looked like they were filming Nicky's (Natasha Lyonne's) backstory. We already know that she was a wealthy junkie, but now we'll get to see even more of her childhood, which is sure to be troubled and rife with classic Nicky zingers. The more we learn about the inmates, the better (sorry, Piper). 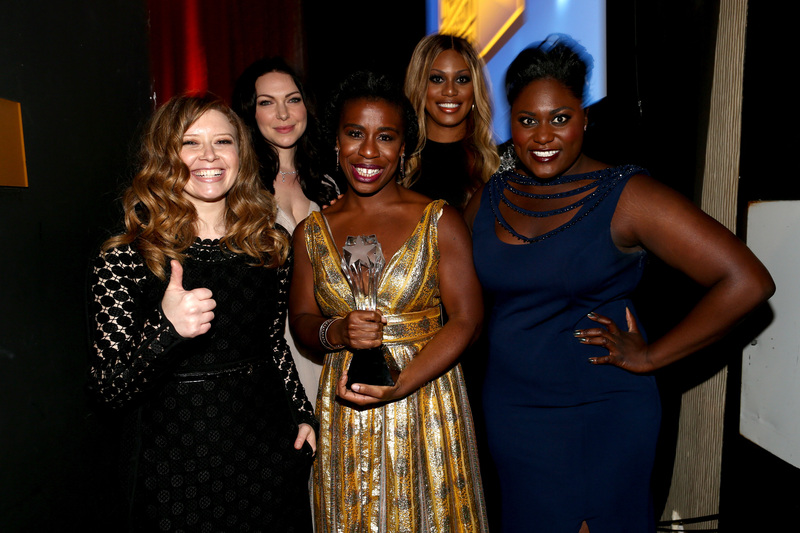 Want more on-set OITNB photos? Give Me Astoria encouraged locals to post photos if they see anything happening, and it looks like the Internet is already obliging and beginning to rear its OITNB-loving head with some more scattered photos. Astorians are pretty proud to call their neighborhood the home of the OITNB set, so you can bet that it's very likely that you'll be seeing some more photos surface in the near future.